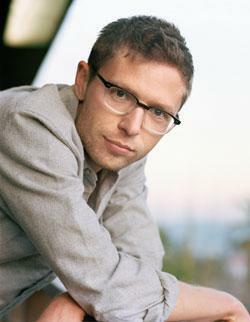 Jonah Lehrer, self-plagiarism: The New Yorker staffer stopped being a writer and became an idea man. Why Did Jonah Lehrer Plagiarize Himself? Because he stopped being a writer and became an idea man. On Tuesday morning, media watcher Jim Romenesko caught Jonah Lehrer stealing. The victim: Jonah Lehrer. The newly minted New Yorker staff writer’s June 12 blog post “Why Smart People Are Stupid” copied, at times word for word, three paragraphs from Lehrer’s 2011 Wall Street Journal story “The Science of Irrationality.” A few hours later, New York’s Joe Coscarelli and writer Jacob Silverman discovered a bunch more instances in which Lehrer reheated his leftovers. The New Yorker has now appended editors’ notes to all five posts on Lehrer’s new blog Frontal Cortex and to an additional post he wrote about Steve Jobs in 2011. Those notes acknowledge that “paragraphs,” “portions,” or “details” originally appeared in writing that Lehrer had done elsewhere. For a writer as prolific as Lehrer, reusing a phrase every so often may be unavoidable. But why would a writer as accomplished as Lehrer become this much of a copy/paste addict? Because he has ceased to be a writer. With the success of his recent books How We Decide and Imagine: How Creativity Works, Lehrer has moved into the idea business. This is the world of TED talks and corporate lectures, a realm in which your thoughts are your product. For the idea man, the written word is just one of many mediums for conveying your message and building your brand. Lehrer begins Imagine with the tale of the Swiffer. The cleaning implement’s inventors “were able to see the world as it was—a frustrating place filled with tedious chores—and then envision the world as it might be if only there were a better mop. That insight changed floor cleaning forever,” he writes. Lehrer has shared his own insight about the Swiffer creators’ insight on Slate’s Afterword podcast, in a National Endowment for the Arts interview, in an interview with Time, during a lecture in Portland, and likely in a dinner party conversation last Saturday night. This is what writers do to sell books: Pluck out their best anecdotes, hone them to a point, and repeat them as often as possible to anyone who will listen. Lehrer’s Swiffer story has a great beat, and he knows how to dance to it. For Lehrer, whose work traffics in insights into creativity, ingenuity, and how we think, these sorts of well-crafted yarns are particularly important. When he gives an interview, Lehrer sells his book and himself. He crafts his delivery to make us believe that he is a source of wisdom—that these are not just insights, but his insights. On the strength of the Swiffer and other such nuggets, Lehrer has become a hit on the speaking circuit. In a 2011 New York Observer piece, Nick Summers compared him to Malcolm Gladwell, the man who’s the best in the business at packaging and selling his own material. (According to a 2008 New York article, Gladwell once made $80,000 for giving a speech to a group of dentists.) Lehrer “can see clear improvement in his writing as he tests out loud what elements of a given story work and learns how to build tension, withhold key information, deliver a punch line,” Summers wrote. Though Lehrer has clearly modeled himself after Gladwell, he has not mastered the self-presentation game nearly as well as his New Yorker colleague. In 2004, the author of The Tipping Point, Blink, and Outliers published a 6,300-word disclosure statement on his blog about the potential conflicts of interest that arise when a writer makes corporate speeches. Given that continuous cycle of creation and reuse, blogging seems to have been a bad idea for Jonah Lehrer. A blog is merciless, requiring constant bursts of insight. In populating his New Yorker blog with large swaths of his old work, Lehrer didn’t just break a rule of journalism. By repurposing an old post on why we don’t believe in science, he also unscrewed the cap on his brain, revealing that it’s currently running on the fumes emitted by back issues of Wired. For Lehrer and The New Yorker, the best prescription is to shut down Frontal Cortex and give him some time to come up with some fresh ideas. The man’s brain clearly needs a break.